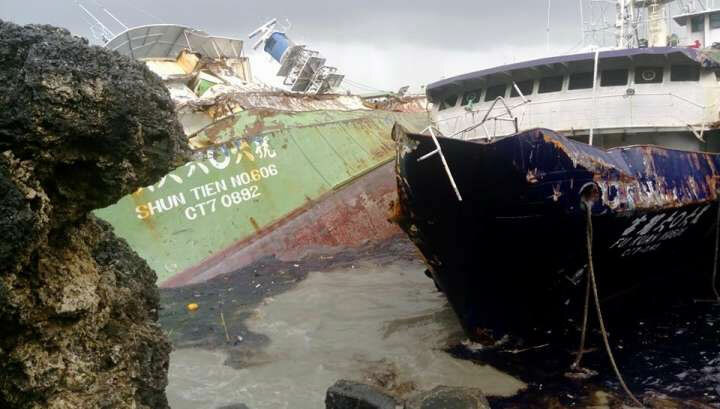 Up to 10 vessels in Kaohsiung Harbor broke loose from their moorings amid high seas caused by Typhoon Meranti as it moved off the coast of southern Taiwan Wednesday. One of the vessels, container ship YM Wind, was being built by CSBC Corp. with a capacity of 14,000 20-foot equivalent unit standard containers. It drifted to the Sixth Container Center operated by Yang Ming Marine Transport Corp. 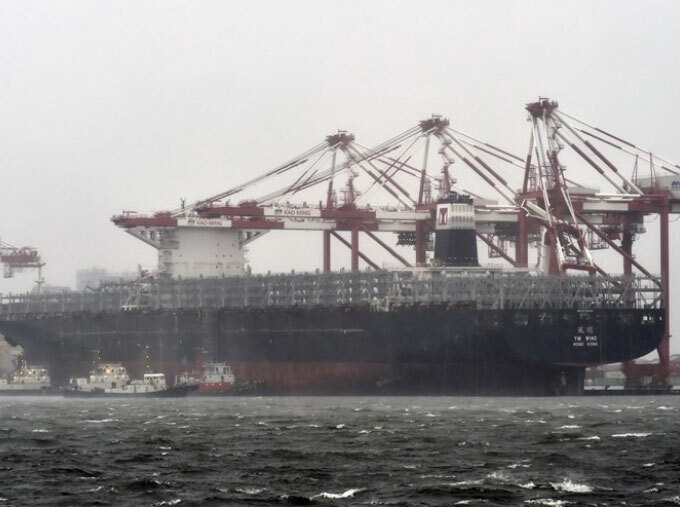 The ship builder deployed several tugboats to stop the vessel from moving away or bumping into other vessels, and asked the port authority for larger tugs to help bring back the vessel, commissioned by Canadian company Seaspan. 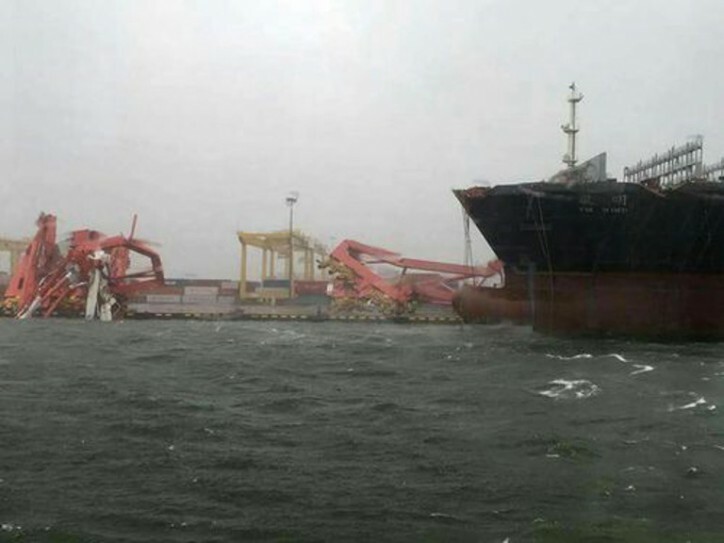 The state-owned port-operator Taiwan International Ports Corp. suspended entries and departures at Kaohsiung Harbor at around noon Wednesday, when the average wind speed reached between 22 and 33 knots in the area. 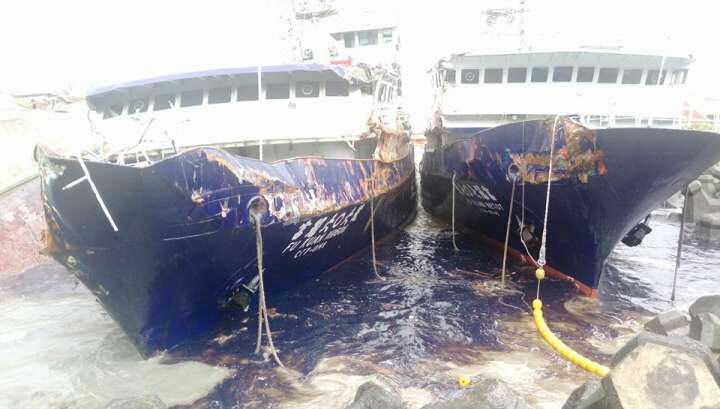 The company said a total of 10 vessels, including the unfinished one being built by CSBC, that broke loose had all been secured by 4 p.m. 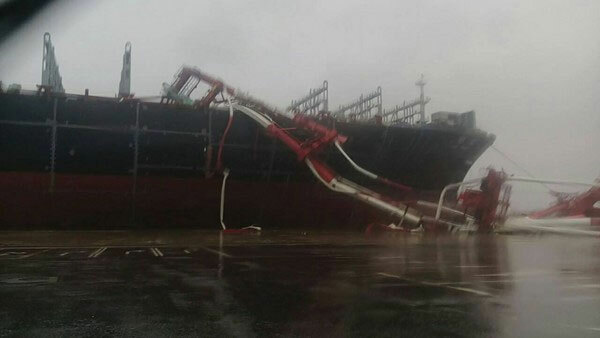 Meanwhile, several containers stored in a yard in Kaohsiung's Siaogang District were blown over and scattered in the area. The city, which closed schools and government offices for Wednesday, suspended all bus services from 12:30 p.m., as well as its tram services and the overground section of its metro system. The underground sections of its two metro lines operated at a reduced frequency of one train every 10 minutes. As of 3:30 p.m., the city government had evacuated 2,811 residents from mountainous districts, where mudslide warnings were in place for 19 locations. The city estimated that 233,000 homes had suffered power outages, mostly because of falling electricity lines, while the power losses also affected water supplies, with the state-owned Taiwan Water Corp. saying it could only supply 340,000 tons, compared to the daily demand of 1.21 million tons. 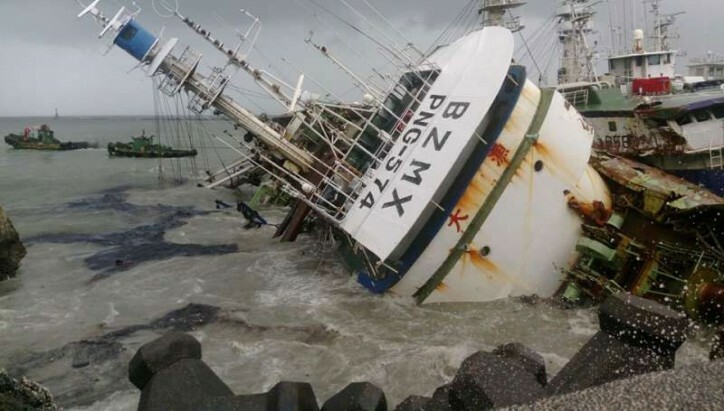 As of 6:15 p.m., Meranti was 60 kilometers south-southwest of Penghu in the Taiwan Strait, packing gusts of up to 227 kilometers per hour and moving at a speed of 17 kph in a northwesterly direction toward Kinmen, according to the Central Weather Bureau. A land warning was in place for areas south of Taichung and Hualien in Taiwan, Penghu and Kinmen, while the bureau warned of torrential rain in Taitung, Hualien, Pingtung and mountainous areas of Kaohsiung between Wednesday evening and Thursday.